This beige salwar suit is prettified with embroidery and lace which makes it appear authentic. Made from jacquard fabric and cotton bottom along with embroidered chiffon dupatta which makes it eye catchy. 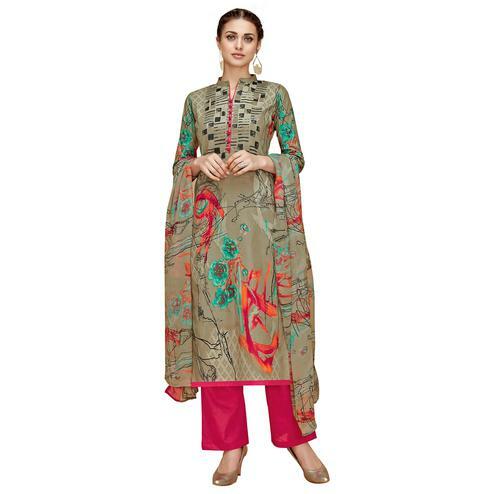 This semi stitched outfit is perfect to wear at office, social-casual outings and parties. Team this suit with classy accessories and high heel for a complete look.